First goal for Marta, record goal for McDonald, and many goals in Washington. 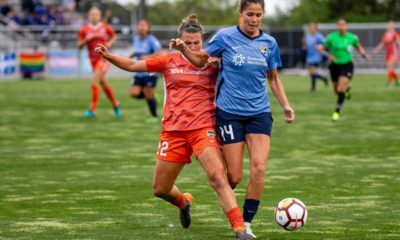 Here’s your Monday morning wake up call for NWSL Week 4. (Overall thoughts on the match) “Being honest, both teams were shocked we weren’t the game of the week. Seattle-Portland games are always exciting. The atmosphere is high and intense, disappointed it wasn’t on TV. These games are never boring. I thought scoring early gets us on the front foot, disappointed in the way we conceded the equalizer, not the own goal side of it, but bits leading up to that. Great response from the players to go into the halftime with the lead. We were on a bit of a back foot in the second half. Portland came out with a lot of pressure in the second half. I thought we could’ve dealt with it a bit better than we did. Coming in here getting a point is a positive after last week’s results. Now for us we have two home games and have got to build on some of the good things we did tonight. (On FWD Megan Rapinoe’s play this season) “Over the four and a half seasons we’ve had Pinoe, she hasn’t played that many games for us… World Cups, injuries. Our big aim is to keep her healthy all season and she’s obviously come in after a tough start to 2016. She needs games, with four in now, tonight you can see she’s 90 minutes fit but maybe not 90 minutes match fit. 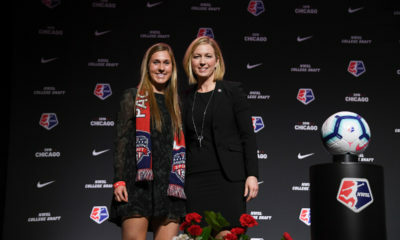 That’s the development she has now and the place we can provide it is obviously the NWSL, which is a tough league to play in. 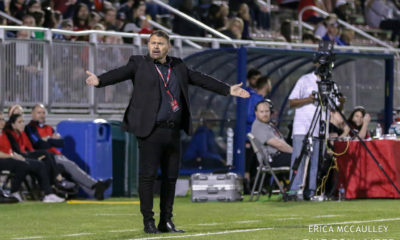 (On the league developing and style of play) “The team we created in 2014 and 2015 rose the bar, in my opinion, on how the game could be played and who we could attract in this league. You look at Portland’s team now… [Veronica] Boquete was here in 2014, [Amandine] Henry, the names could keep going. Foreign players this league can attract is for sure there. That team we had in 2014 and 2015 set the barrier and people are pushing through that barrier whether that be similar style to what we were. Over the last year leading into this season it has gotten a little more transitional, more long ball. It’s not the way I love to play the game but sometimes it’s the way you have to play the game. Tonight was a good example, we didn’t want to do that and that’s for me why we didn’t win the game. 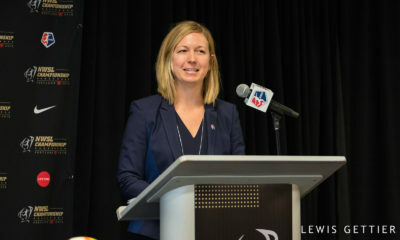 It isn’t that we can’t do that but we don’t like to do that, and I think a team like Portland can do both. You’ve got to be able to play but at times find those spaces to go and turn teams and get them on their back foot. The level of play here, people will comment on different league around the world, and I’m sure you can ask all the foreign players, this is it’s the hardest league in the world without a doubt, no question about it. 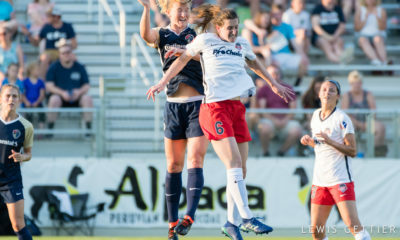 -How far can the Courage carry their winning streak? 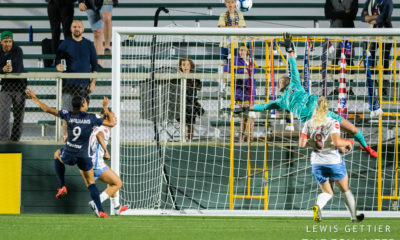 -Marta has a goal; can she finally help the Pride get in the win column? -Will the Reign make the 3-4-3 a regular thing? 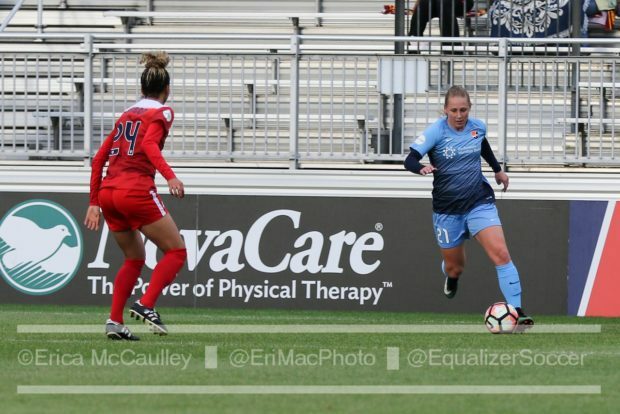 -Is Julie Ertz–three positions in four games–the new Kelley O’Hara?